A monument commemorates explorer Major Thomas Mitchell and his expedition who climbed Mount Hope in 1836. The monument is part of the of the Major Mitchell Trail which was established as a Bicentenary Project in 1988. Major Thomas Mitchell climbed and named Mount Hope on 28 June 1936. Mitchell could not resist the opportunity to explore the promising new country to the south. Immediately he changed course and continued south-westwards. 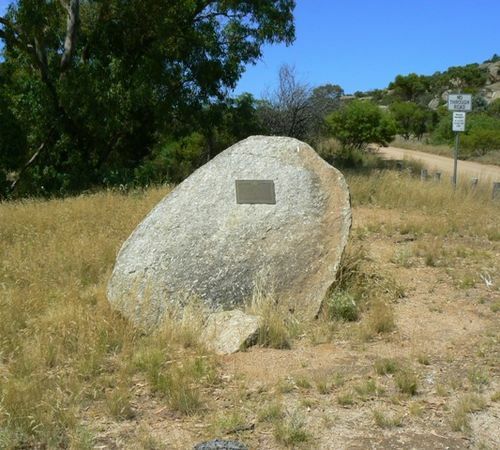 Major Mitchell's expedition into the `Australia Felix` is commemorated by the Major Mitchell Trail, an Australian Bicentennial project with financial assistance from the Commonwealth and Victorian Governments.